Richard Mouw, president of Fuller Theological Seminary and a member of the editorial advisory board for the Journal of Markets & Morality, has written a memoir reflecting on his introduction to and engagement with the thought of Abraham Kuyper. 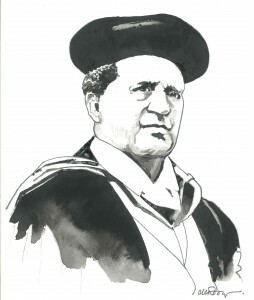 His book is titled, Abraham Kuyper: A Short and Personal Introduction, and in an essay appearing at the Comment site, Mouw writes about the significance of Kuyper for the evangelical world today. Be sure to check out the Common Grace Translation Project page for more information, and connect with the project on Facebook. The first full volume is scheduled to appear in the Fall of 2012, but there are some more exciting developments that will be happening later this year.